Tong Garden is one of Southeast Asia’s most popular nut product and snacks suppliers. To ensure that they remain in this position, product quality and consumer safety are at front-of-mind. This prompted an investment in an X35 x-ray inspection system. Tong Garden began its journey in Singapore over five decades ago and focused on the processing of one type of peanut. Since then, the company has expanded to multiple manufacturing facilities in Thailand and Malaysia and has expanded their product range to meet constantly changing consumer tastes. This case study explores Tong Garden’s manufacturing process and details how the X35 x-ray inspection system assists them with achieving their goals of continued levels of outstanding product quality and further expansion into new markets within the region. A single X35 x-ray machine for multi-lane inspection was an ideal solution for Tong Garden. 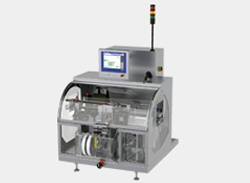 Products from two packaging lines can be conveyed through the single x-ray machine simultaneously by being separated into two inspection lanes. 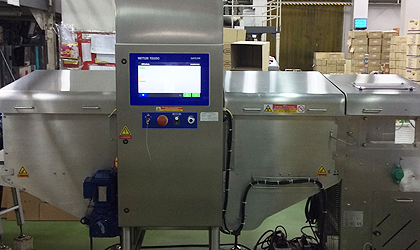 The machine can also inspect and reject contaminated products from the production line. The contaminated products then fall into the reject bin below the inspection line, this process has been designed with safety systems allowing only authorized personnel such as Quality Assurance (QA) to be able to handle rejected products and conduct a more detailed examination. *Note: The X35 model is only available in Asia, for the rest of the world see the X36. 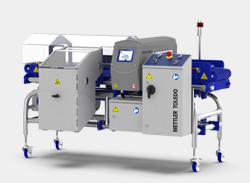 Designed for small and medium sized packaging for single and multi-lane applications at speeds up to 80m/min. 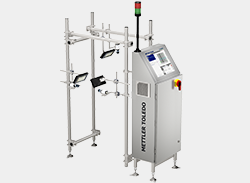 Designed for the inspection of small and medium packaged products such as ready meals, confectionery and packaged meats. 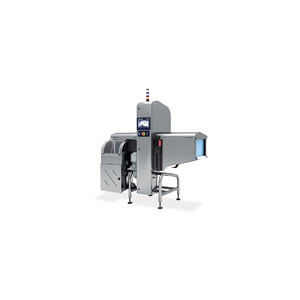 Designed for small, medium & large sized packaging for single and multi-lane applications at speeds up to 80m/min. Ideal para inspeção de compostos de latas/papelão/tubos, recipientes de plástico e metal usando um único feixe de raios X (20 W). A Série X37 de sistemas de inspeção de alimentos por raios X é ideal para a inspeção de alimentos embalados em recipientes rígidos e altos, como latas de metal e recipientes de vidro. Um sistema de raios X de feixe dividido (100W / 400W) projetado para inspecionar recipientes de metal, vidro e cerâmica. 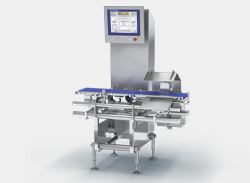 The design of the X3725 ensures consistent product presentation thanks to an integrated conveyor and product specific guiderails, ensuring maximum detection of contaminants.